For inquiries on donations to any of UPMAS’ worthy projects, please contact the UPMAS Secretariat through: upmedalumsoc@gmail.com or (632) 5253852. 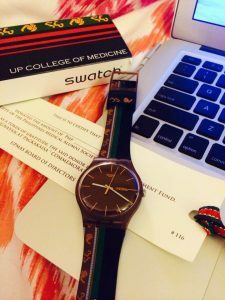 Anyone donating PHP 5,000 or above are given a LIMITED EDITION UP College of Medicine Swatch Watch as a token of appreciation. The design is unique and showcases the rich “luntian at pula” colors and historic symbols of the UP like the “Sablay”, which is the UP graduation sash showing the ancient “Baybayin” script for UP. 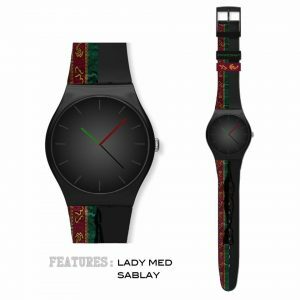 A silhouette of Rizal’s sculpture “The Triumph of Science Over Death” fondly nicknamed “Lady Medicine” appears on the strap. Interested in donating? Please contact the UPMAS Secretariat at upmedalumsoc@gmail.com.